Sticky Notes are colored papers with a glue on its back. They are used to maintain task lists, to - do, reminders, as fridge notes etc. 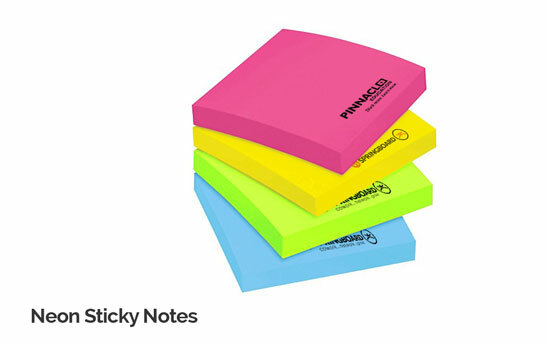 Sticky Notes were originally yellow in color. Now they are available in different colors and sizes. The glue at the back leaves no mark and the stickiness does not wear off easily. They are now an important accessory in offices, schools, administrative work etc. 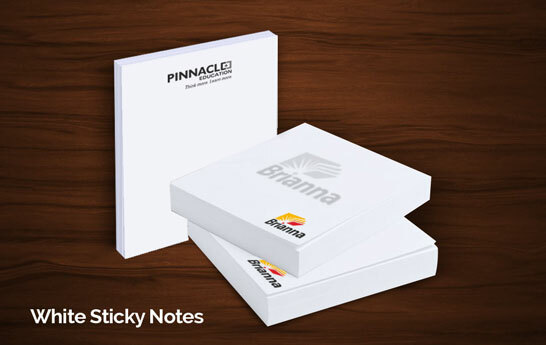 Get your personalized Sticky Notes with a Logo or a Brand Name on it. Sticky Notes can be a great giveaway gift to clients and customers. Did you know first Sticky Notes or Post - Its were created by 3M and launched as Press and Peele Product in 1977. The term "Post It" is a trademark of 3M. Never miss a deadline and never forget an important call with our custom sticky notes for your business and brand. Use efficient personalised sticky notes from PrintStop and keep a track of all your urgent chores and business responsibilities. Thus, our custom sticky notes make sure you get your thoughts past your office desk and put them in the office world where you need them the most. Our memo sticky notes come with a strong glue on their back as to not fall off quickly. Stick them anywhere you like, on your office walls or your refrigerators as fridge notes and maintain your to-do list. Paper sticky notes were also called yellow sticky notes as that was the only colour they were available in before. But at PrintStop, we have custom printed sticky notes available in as many as 11 colours for your business. 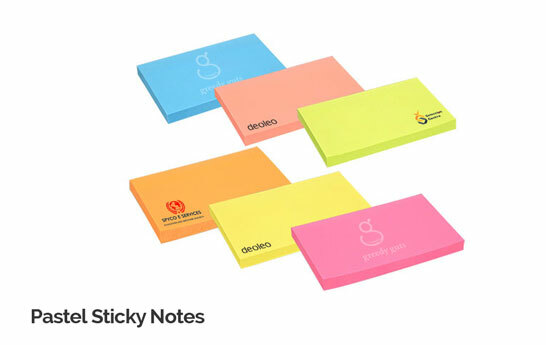 From pastel coloured sticky notes to neon coloured, we have all the basic shades of sticky notes which can be easily identified - pink sticky notes, yellow sticky notes, blue sticky notes, green sticky notes, orange sticky notes and purple sticky notes. Plus, we have white sticky notes available with yellow sticky notes. And guess what, we not only custom print your sticky notes according to your brand name and businesses, but also according to the range of colours you want. At PrintStop, we offer multicoloured printing for your personalised sticky notes. Our order taking quantity of sticky notes comprises of 200, 500 and 1000 sticky notes. Whether it’s an important meeting or an upcoming deadline that’s vital to meet for your business goals, our custom sticky notes online are eye-catching enough to leave you or your employees a reminder on your office walls. You can also save our custom-made memo sticky notes on your computer monitor and just leave it there until you see it the next day and remind yourself of an important pending task. Our customised sticky notes are available online in as many as 6 different sizes - from 3x1 inches to 3x6 inches. PrintStop has a variety of sticky notes sizes on hand to make sure you have a convenient sticky note for each task of yours. Our small sticky note sizes are for your employees to mark something important and the large sticky notes are for you to remind yourself about an important meeting you have, or some important work you’ve passed on your employees. All in all, our beautifully customised sticky notes are convenient enough to write all your business tasks comfortably. Our personalised sticky notes are printed with your brand name and logo. So these paper sticky notes can be perfect giveaways to your employees and clients to remind them of your brand every time they use these custom sticky notes. We have customised memo sticky notes that come with 50 as well as 100 sheets. Keep a track of all your office chores, including presentations, meetings and important deadlines with our custom designed sticky notes at PrintStop, and give your business the overall boost it needs.